By Adrienne Rivera. Jul 19, 2017. 9:00 AM. Writing has always existed as a means to explore the realities of the world, to illuminate both the good and the bad. As long as people have been writing, they have been writing about the world around them, and in many ways, the relationship between art and politics—writing and politics, to be specific—is inexorable. Aristotle wrote his Politics in the 4th century. Jonathan Swift wrote A Modest Proposal, his satire on the Irish potato famine, in 1729. Anna Laetitia Barbauld wrote her critiques of the French Revolution and the Napoleonic Wars not long after. There is a long history of writers using their voices to draw attention to the most important issues of their time. Here are some writers who meld writing with activism and advocacy to great and enduring effect. 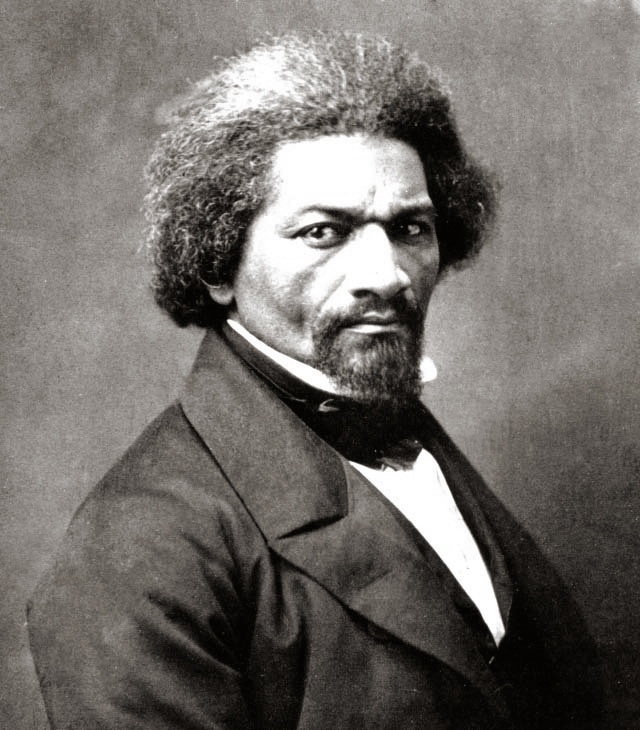 Frederick Douglass was born a slave in 1818. After several failed efforts to escape, he finally prevailed and after a harrowing 24 hour journey, landed in New York City. From that moment, he worked tirelessly as an abolitionist and women's rights advocate. His autobiography Narrative of the Life of Frederick Douglass, an American Slave (1845) was an immediate best-seller and served as an inspiration to many to join the abolitionist movement. His autobiography continues to be studied today (along with many of Douglass' other works) and is considered one of the most important pieces of literature to come out of that time period. Argentine poet and novelist Jorge Luis Borges is regarded as one of the most important writers of the Spanish language, though he never won a Nobel Prize for his contributions to literature. Known as one of the first writers of magical realism, his writings—often political—approached a variety of issues. He is known for writing numerous poems that function as dialogues between himself and various historical and political figures, including one particularly notable work featuring Dutch philosopher Baruch Spinoza. Borges held strong conservative views, and in interviews he often spoke about his strong disapproval of communist governments, even going so far as to condemn poet Pablo Neruda, not as a writer but as a person, due to his communist leanings. Borges spoke out often against fascism and against Nazi Germany. In 1946, he published a short story from the point of view of a Nazi war criminal titled “Deutsches Requiem.” He was particularly active against Juan Peron and his wife Evita to the point that he lost his job and was put under 24 hour surveillance for running for an opposing party and publishing works in opposition to their ideals. Orwell is best known for his novels Animal Farm and Nineteen Eighty-Four, which present intense criticisms of Stalinism and censorship and surveillance respectively. A firm socialist, Orwell used his work to shed light on the aspects of government he found troubling or ineffective. His impact on literature can still be seen today. While often appearing on lists of most challenged books, his novels appear just as often on syllabi for both high schools and universities. His name is the basis for the term “Orwellian” which is used to describe totalitarian political actions. He coined phrases like “cold war,” “Big Brother,” and “newspeak” that have worked their way into the popular vernacular. 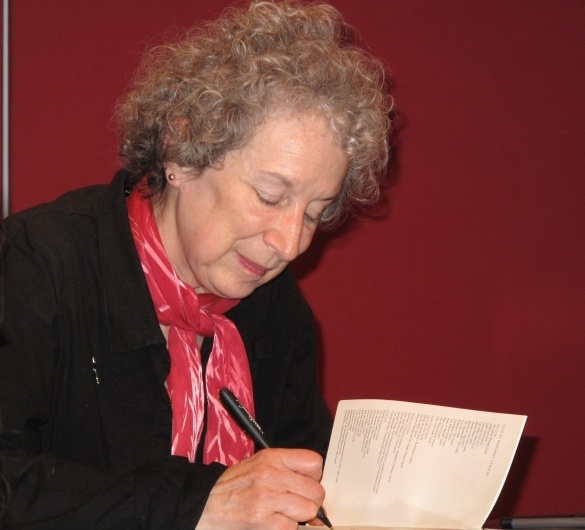 Canadian writer Margaret Atwood has long been vocal about her political and feminist views. A major supporter of environmental causes, she is the president of the Rare Bird Club and has often spoken about and financially contributed to causes supporting environmental reclamation. Her most well-known and perhaps most political work, The Handmaid's Tale, is a dystopian novel published in 1985. It has never been out of print and won the Nebula Award as well as the Booker Prize. Focusing on the patriarchal subjugation of women, the novel is frequently taught in schools, appearing on advanced placement exams for English Literature. It is also one of the 100 most challenged books. The novel has been adapted into film, opera, and a play, and most recently, it has sparked renewed conversation aften being adapted into a widely popular television series in 2017.